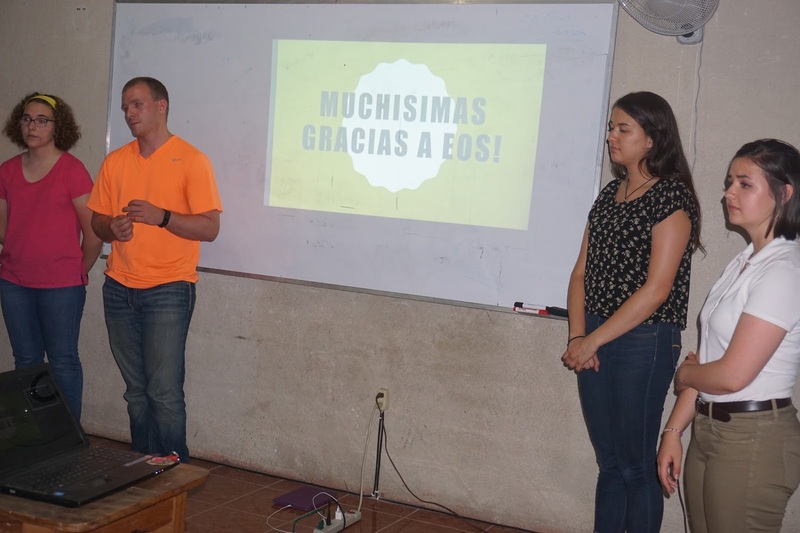 Today, we worked all day on our final project presentations on solutions to sustainable development problems in Nicaragua. Our teams converged at the office bright and early at the office for our final day of work before we presented to the EOS staff on the progress we’ve made on our projects. 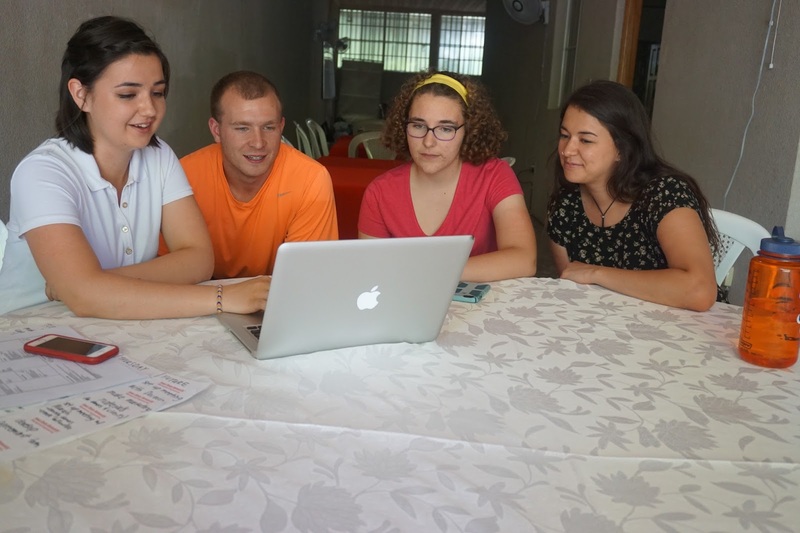 Some groups had a few last minute interviews to squeeze into the day, others were practicing their Spanish for the presentations. We powered through until 4 p.m. when the projector flicked on. Throughout this class, each of us worked on a sustainable development problem. My team was trying to understand why certain communities that have chlorinators to clean to their water don't always add the chlorine tablets as needed. 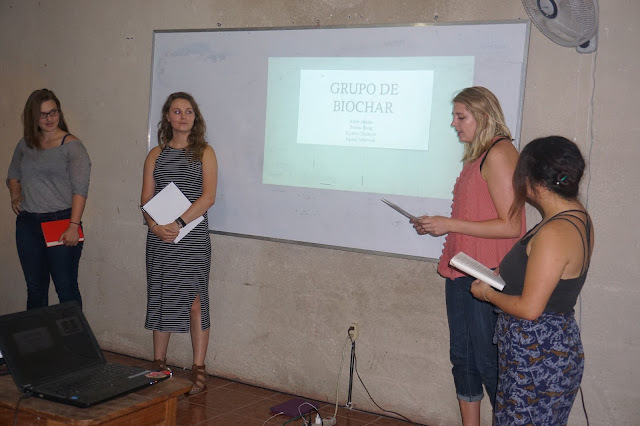 Another group was working on developing an implementation plan for rural solar battery charging stations (an Acara fellowship project) and another was researching how EOS International might create biochar from rice husk to farmers for soil amendment. Each group had very different issues to confront and approaches to those issues. However, one commonality was that each project had been turned on its head multiple times throughout the trip. Despite the general dissatisfaction among the students at this roller coaster ride of research, it was a well-learned lesson. These issues are not the two dimensional problems we began working on at home, they are not even the three-dimensional problems we see them as. We all got to see the complexity of the cultural, geographical, engineering, and economic web of the projects we’ve been working on and I am sure each group would agree that they still do not possess a comprehensive understanding of their topic.